Your baby’s last few days safe inside, and the first few days after birth are ones that are filled with expectation, exhaustion & joy, days that fly past in a blur and become distant memories way too soon. We want you to be able to look back on those days, remember the blissful excitement of waiting for that arrival, the sheer joy of a new life, the wonder of tiny fingers and toes, wispy hair and soft skin. How better than to capture those moments through photography. Pensans Photography can capture them for you. 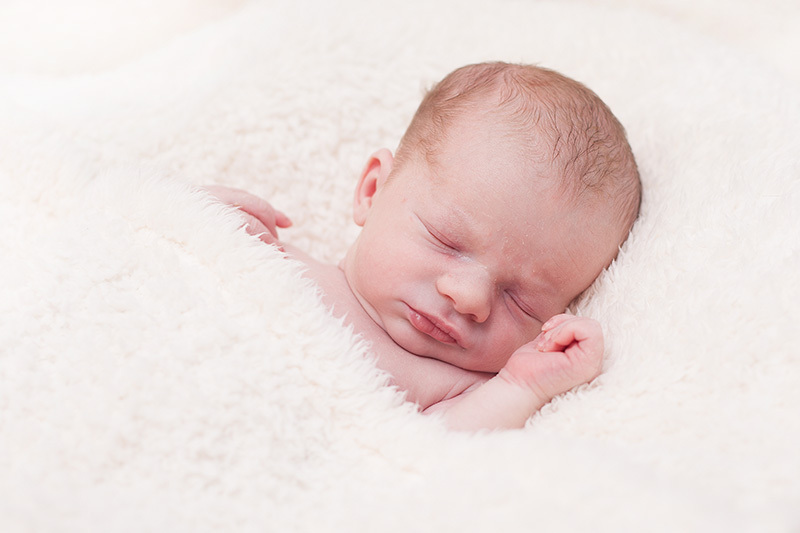 For the best results, newborn sessions should take place no later than 10 days after birth, ideally at around 6 days when your baby is still sleepy and curled up, these are the days in which newborn poses are easier to capture. After 2 weeks your baby wakes more easily, is more difficult to ‘pose’ and baby acne can flare up. You come to our comfortable ‘home studio’ where everything will be set up ready for you, in a warm room with no distractions or people dropping by to visit you and your beautiful new arrival! However we do understand that the first few weeks are stressful and busy for new parents, so we can come to your own home if required and bring all the props we need with us. All we need is an area in your home that is near to a window for natural light, and in a room that can be kept very warm so baby is comfortable. We don’t set a time limit on the session, but allow up to 3 hours so that there is no time pressure if baby wakes, needs feeding, changing or comforting during the shoot. We ask that the parents stay close by at all times and are on hand to hold baby, or help positioning for different poses. 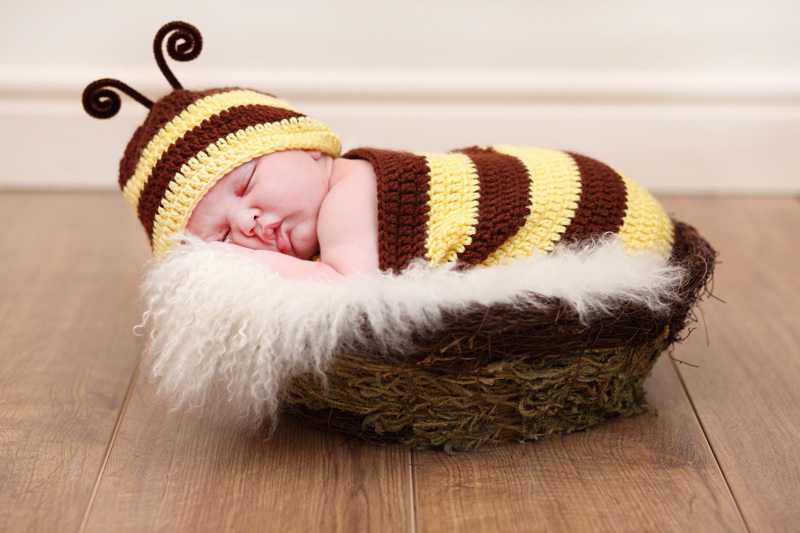 We understand that newborn sessions are difficult to book in advance, so if you wish to book us, just give us a due date and we will ensure we are available around that time. Then just let us know as soon as baby arrives so we can arrange a firm date for the session. A newborn session costs just £100, which includes a £25 print credit. Prints prices start from £6.00. We know that the first year of your baby’s life is special, and your little one changes so much over those first twelve months. To document this special time we offer a ‘Year in the Life’ package. This includes a newborn shoot, one at 6 months and a cake-bash session when your baby is one. After your last session we will compile an 28×21″ hardbacked book with a selection of photographs from your sessions throughout the year . The package costs £150 and you also have the option to add a maternity shoot to the package for just £15 extra.